A three-page complaint filed by the Red Cross of Canada to the federal government, and obtained by The Canadian Press, says Liberal backbencher MaryAnn Mihychuk ignored protocol and the reality of the situation last Sept. 7, when she visited a Winnipeg shelter housing evacuees who had been flown in from the Garden Hill First Nation. "Mihychuk verbally abused Red Cross volunteers and staff at the shelter and on the phone, using abusive and bullying language," the complaint alleges. "For the evacuees, many of whom had just arrived from another shelter, the chaos and confusion caused by Mihychuk and [Manitoba Liberal legislature member Judy] Klassen stirring up the evacuees and misleading them about hotel rooms, only caused to multiply the stress the evacuees are already under." ​In a statement, Klassen said she was trying to get residents what they needed. "I find the accusations surprising, actually, and inaccurate," she said. "I will always stand up for people who are in trouble and victimized, and that was the circumstance of the Indigenous evacuees." Mihychuk became verbally abusive during a phone call, the Red Cross complaint says, and decided that some evacuees at the soccer complex should be taken immediately to a hotel in Selkirk, Man. The Red Cross had access to some rooms there, but Garden Hill leaders said they did not want to go. "Mihychuk then stated, 'Selkirk is a nice place with a Walmart' and that she will be taking the lead to go around the shelter and 'load them up and ship them out'. [Red Cross senior disaster manager Cailin] Hodder aggressively identified that she was not to make a move without consultation with the community," the complaint says. "The Red Cross team asked Mihychuk to cease until further notice and contacted Red Cross V.P. for Manitoba and Nunavut, Shawn Feely." "Hodder received a call from [Mihychuk] who stated she had selected people. They are standing outside waiting for a bus. The evacuees should not have been left out in the cold." "Upon arrival, it was discovered that 40-50 people were standing outside in the cold with garbage bags of items they rushed to pack up." 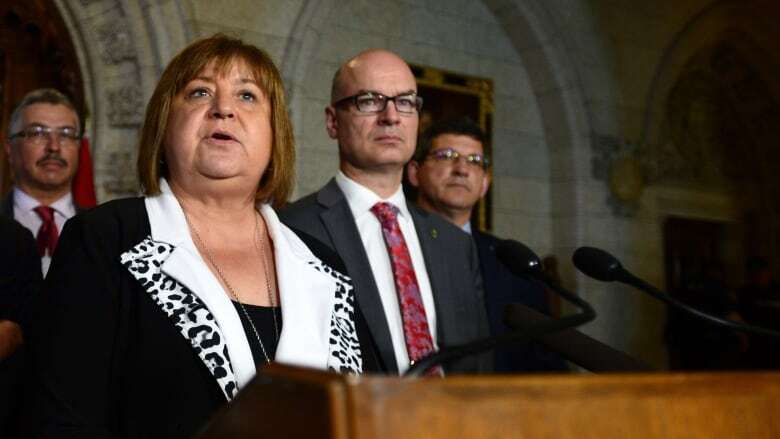 While Mihychuk said she had not heard of the complaint until Thursday, federal Indigenous Services Minister Jane Philpott's office said Mihychuk had been told. "It is our expectation that departmental and elected officials maintain the highest level of professionalism in dealing with such sensitive situations. In this circumstance, a report was received from the Red Cross about a visit to the evacuation centre in early September. The concerns raised in the report were addressed directly with the member," Philpott's press secretary, Rachel Rappaport, wrote in an email. "I asserted that this was a completely unacceptable situation, and I'm not going to deny that I was insistent and assertive." "We let the evacuees know that there were in fact hotel rooms available outside of Winnipeg, and they asked us to help them get them into those rooms," Klassen said in a written statement. "She was right there, helping the First Nations people."